The University of Edinburgh and Coca-Cola offer a number of scholarships for undergraduate study in any subject offered by the University. This competitive scholarship covers the full tuition fees and an annual maintenance allowance of £5,000. It is tenable for the duration of the programme of study. The scholarship is open to self-financing applicants whose personal circumstances would make accepting an offer from the University of Edinburgh difficult. 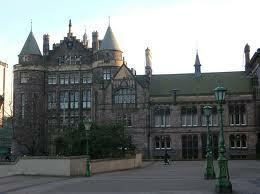 Applicants should have applied through the University and Colleges Admission Service (UCAS) and been offered a place at the University of Edinburgh by the scholarship closing date of 1 April 2011. The scholarship winners will be announced in late May 2011. Demikian kami sampaikan tentang Coca-Cola Undergraduate Scholarships, University of Edinburgh, UK semoga informasi tentang Coca-Cola Undergraduate Scholarships, University of Edinburgh, UK ini bermanfaat.